The short answer is: there is a difference. There has been a slight bit of confusion about the three conditions and therefore this blog entry is an attempt at a brief clarification. is a condition which is first and foremost a deficiency of either or both enzymes DAO (diamine oxidase) and histamine N-methyltransferase after the ingestion of food high in histamine. This is because a person is either unable to produce enough enzymes or because one or both enzymes have been inhibited by different causes. There are many reasons why this could have happened and it is down to each individual to find out the underlying cause. Some examples of causes (and the list is long…) could be an underlying condition such as an infection in the intestinal area, another food intolerance causing diarrhoea, an allergy or mastocytosis. In the case of allergies, histamine is released by the body as part of an excessive immune system response to a normally harmless substance like pollen or certain foods or drugs. Cross-reactivity in people who are allergic to certain pollens or other substances also plays a role. A person who has Histamine Intolerance does not necessarily have an allergy and vice versa. It is extremely important to check if you have an allergy or not. 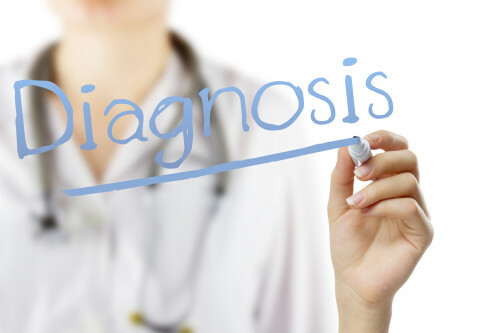 It should be part of the differential diagnosis which excludes other possible causes of the symptoms you may have. It is not necessarily so that a person who has HIT will automatically have mastocytosis or MCAS or any other type of mast cell activation disorder. However, a person who has either of these will also likely be affected by HIT. If a person does have MCAS then they will automatically have to adhere to a low-histamine diet. This diet also requires a strict avoidance of foods which can cause the degranulation of mast cells. But there are many more aspects to mast cell activation disorders than just that. People who suffer from mastocytosis have the problem that they have abnormal growth and accumulation of mast cells. Mast cells play an important role as part of the immune system. If triggered, those mast cells will release a lot of substances including histamine. Please see links below to get further information from organisations who specialise in this particular field. The actual cause and a possible combination with other conditions determines whether a person’s HIT will disappear again or not, whether they need to take extra medication and how much histamine they actually need to avoid. A person who has had a short-term bowel infection and who has been able to treat the infection successfully has a good chance that the HIT will disappear again. A person who has a food intolerance such as lactose intolerance, fructose malabsorption or sorbitol intolerance, for example, which involves diarrhoea, will highly likely be able to get any histamine intolerance symptoms under control if they make sure they take care of the other intolerance(s) as well. A person who has an allergy and HIT will be having more severe symptoms when they have a reaction (seasonal or certain substances such as foods or drugs), but when there is no allergic reaction the HIT symptoms could also disappear (depending on the severity of HIT). A person who has some form of mastocytosis will need to adhere to a very special diet for life and needs to take extra medication. These are just a few examples of what could be wrong with a person who has HIT. All those who have a diagnosis for HIT have their own situation. Some people can tolerate more histamine and some less, depending (again) on what causes it.